Looking for big Marshall tone in a smaller sized cabinet? 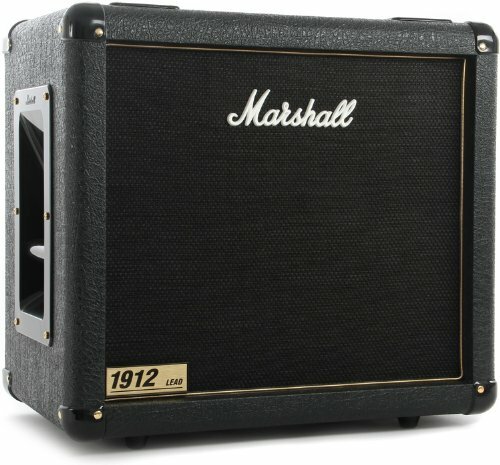 The Marshall 1912 guitar speaker cabinet is a smaller 1 x 12" cabinet with huge sound. The compact, 150-watt Marshall 1912 is the perfect extension cabinet for combos and amp heads. Smooth ABS plastic corners offer excellent protection for your 1912's corners, and Marshall's highest quality woodwork includes the 'finger locking' of each and every joint. Want a portable mini-stack? The 1912 is the solution.